Free software lets people store sensitive data on their home or work computers in a password-protected folder. Microsoft has introduced Private Folder 1.0, free software that lets people store sensitive data on their home or work computers in a password-protected folder. 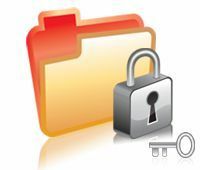 Private Folder 1.0, which is saved to a person’s desktop, aims to shield private data from others when they have access to someone’s computer or account. The potential fallout from IT administrators remains to be seen, should their colleagues opt to hide sensitive data in a private, password-protected folder. Microsoft does not offer support for the software. “Private Folder 1.0 is a useful tool…to protect your private data when friends, colleagues, kids or other people share your PC or account,” the software giant said in its announcement. People who want to download the software are first required to run their computers through the Windows Genuine Advantage program. The controversial antipiracy tool is designed to verify that people have a legitimate copy of Microsoft Windows. Those using the software also must have Windows XP Home Edition, Professional Edition or Media Center Edition, with Service Pack 2. The software also needs a high-resolution Super VGA video adapter and monitor to work properly. Some observers are raising concerns about the potential headaches Private Folder may create for IT administrators. “Oh great, have they even thought about the impact this could have on enterprises. I’m already trying to frantically find information on this product so that A) I can block to all our desktops and B) figure out how we then support it when users inevitably lose files. I can see the benefit in this product for home users, but it’s a bit of a sloppy release by Microsoft,” said an individual named Stuart Graham in a posting on MSBlog, a site related to Windows Server 2003. Another individual, Daniel Goldleaf, said on MSBlog that companies should have terms of usage for corporate PCs that instruct employees not to download software onto their systems. “If they install (Private Folder), uninstall it from Add/Remove Programs,” Goldleaf added. This entry was posted in Microsoft, Privacy, WGA. Bookmark the permalink.